"Holyland" is based on Kouji Mori's manga series "Holyland" (published from June 29, 2001 through July 29, 2008). jiji Mar 07 2017 11:51 am Not bad, the Japanese version is gold. 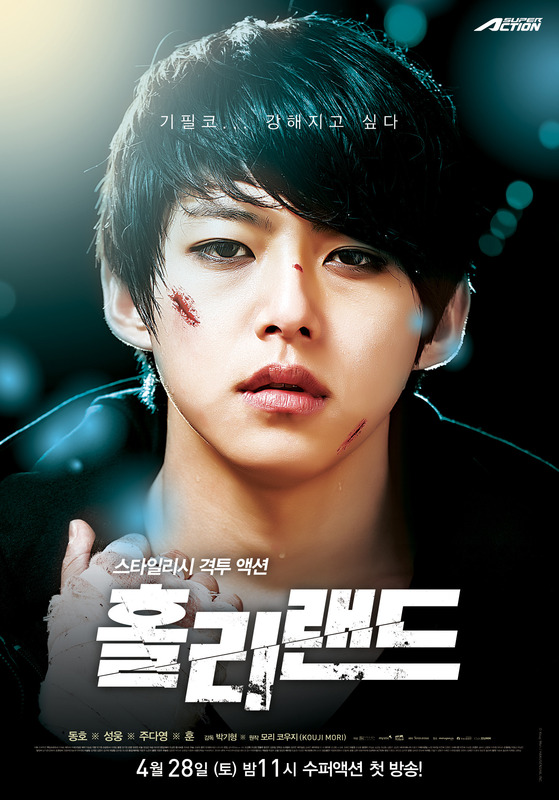 zerah Sep 28 2015 11:50 am good actors, good action, very good kdrama! MANDATORY more episodes. arolust May 26 2015 5:01 pm this is a bit wrong, the name of this series is not "holyland" but "holy land". This series is a remake of the original "holyland" made in 2005 and has 13 episodes. KissMe_0330 May 12 2014 9:56 am Dongho Oppa! Daebaaaak!